The U.S. Marine Corps said it has opened a criminal investigation into the activities of Lance Corporal Vasillios Pistolis, 19, identified as a violent white supremacist in a recent report by ProPublica and FRONTLINE. Stationed at North Carolina’s Camp Lejeune and assigned to the 2nd Marine Logistics Group, Pistolis has associated with an array of neo-Nazi organizations, including the National Socialist Movement, the Traditionalist Worker Party, and Atomwaffen Division, a clandestine group that aims to incite a race war, according to interviews and an analysis of video and online postings. Pistolis is under investigation by the Naval Criminal Investigative Service (NCIS), which typically examines felony-level offenses involving Navy or Marine Corps personnel. “We’re looking into the allegations and do not comment on open investigations,” said Adam M. Stump, an NCIS spokesperson. 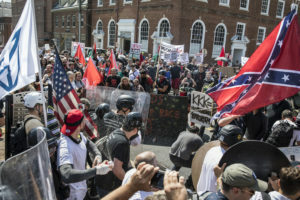 Through interviews, photos, videos, and the Marine’s own online admissions, ProPublica and FRONTLINE documented his involvement with the various fascist groups and his participation in a string of assaults during last summer’s lethal Unite the Right rally in Charlottesville. Pistolis also made posts in online chats obtained by Unicorn Riot, an independent media organization. This is the second time Pistolis has drawn scrutiny from NCIS. He told ProPublica and FRONTLINE he’d been questioned about his extremist activities several months ago by NCIS investigators, but the investigation was apparently dropped. Military sources confirmed the existence of an earlier inquiry regarding Pistolis. Responding to new reporting on the link between Atomwaffen and the armed forces, Rep. Keith Ellison, a Minnesota Democrat, urged Defense Secretary James Mattis to investigate Pistolis and his fellow neo-Nazis. Ellison also requested that the Department of Defense provide information to Congress about the military’s efforts to discipline white supremacists in the ranks and screen out racial extremists during the enlistment process. Ellison is asking the Defense Department to respond to his request for information by May 21. 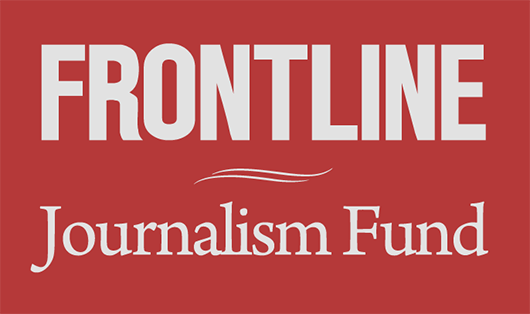 If you’ve witnessed or experienced hate crimes, harassment or incidents of bias, you can use this form to send information to FRONTLINE, ProPublica and other partners in the Documenting Hate project.